Now that he’s got his fill on collaborating with the most diverse array of musicians imaginable, Justin Vernon is now back with his best project, Bon Iver. He announced through Rolling Stone that his yet-to-be-titled second album is out in June. Exciting news on the folk front in 2011 so far then. With Fleet Foxes’ album imminent, along with the release of Iron and Wine’s Kiss each other Clean and The Decemberists’ The King is Dead, this year is shaping up well for another folk takeover. 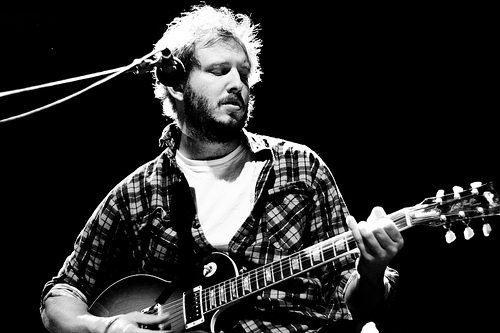 We’ve put Bon Iver down at number 7 for our most anticipated albums of 2011, so we are expecting something pretty amazing. With Bon Iver’s style differing quite considerably between For Emma, Forever Ago and follow-up EP Blood Bank, it will be interesting to see whether there is another new direction to be taken. Maybe we’ll be hearing a bit of a Kanye influence. This entry was posted on 24 March, 2011 at 9:36 am and is filed under News, Stream with tags bon iver, flume, for emma forever ago, june, new album. You can follow any responses to this entry through the RSS 2.0 feed. You can leave a response, or trackback from your own site.